You are here: Home / Make money online / Can You Really Make Money Online on Autopilot? The rate at which the word “Autopilot” is thrown about on the web is sickening. 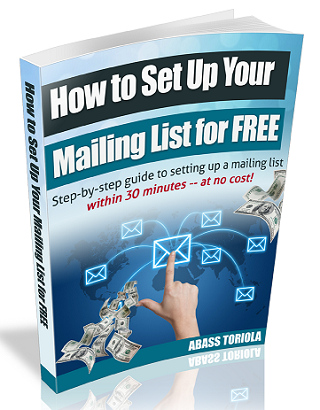 You see things like Autopilot Facebook Cash, Autopilot Affiliate Formula, Autopilot Online Wealth Secrets, and so on. And when you follow such links, you’ll mostly end up being asked to part with some money to get access to the “secret information” on how to set up your autopilot system for making money online even in your sleep or when you’re away on vacation. But before you click the next autopilot ad that pops in your face, read this post to the end to understand what making money on Autopilot really entails. What the heck is autopilot? In the online business world, autopilot refers to any strategy or system set up to automatically generate money for you with little or no effort on your part. The term was borrowed from the aviation world, where it refers to a system used to steer an aircraft automatically without constant control by the pilot. Though it’s sounds quite logical to liken an online business that makes money on its own to an aircraft that flies on its own, the truth is, the word has been ravished by most snake oil internet marketers. Making money online on autopilot is very easy. You need to invest very little effort. And you don’t need to invest one Naira (except for probably the money you spent on the e-book). Once you’re ready to get started, just get your PC and connected to the internet, and follow the step-by-step instructions for setting up your autopilot system. Don’t worry, it’s so easy that even a dummy can do it without help. And the whole process doesn’t take more than 2 hours at most. After setting up the system, just sit back and watch as cash starts flowing into your account — even when you’re asleep. It’s really a set-it-and-forget-it-system. You don’t have to get back to it again, but it keeps fetching you money for life! 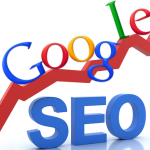 One popular system is the Adsense Magic System. Setting it up is very easy. Just create a new blog on Blogger.com. Then copy 10 to 20 posts from other blogs or from article directories. After two weeks, apply for your Google Adsense account. Once you’re approved for Adsense, generate your ad codes and place them on the blog. And that’s it! Just sit back to watch your Adsense earnings soar. At the end of each month, you can receive your earnings via check or directly into your bank account. If you think Adsense earnings are too meager, then set up the Autopilot Facebook Cash System, instead. This requires more steps, but it’s actually simple, too. First, create a Facebook page and get people to like it. Once you have up to 100 likes, register with an affiliate program such as Amazon or Commission Junction. Then find a product that pays high commissions and generate your affiliate link for that product. Add the link to your updates on the Facebook page. Then sit back and watch your commissions soar as people buy the product through your links. There are many other ways to make money online on Autopilot. It’s just a matter of having the right information and taking action. Setting up autopilot systems can help you join the league of people like John Chow, Ewen Chia, Darren Rowse, Tom Ewer, and others. I mean, people who have attained financial independence and are lining the life of their dreams. Making money online on autopilot is quite possible. Yes, possible. But it’s not as easy as you might think. Suggested: Warning: Don't Make This Silly Mistake I Once Made! Just so you know, the autopilot system in an aircraft won’t work on its own. So, it doesn’t replace a human pilot. It only assists the pilot in controlling the aircraft, allowing him to focus on other aspects of operation, such as communicating with the airport and monitoring the weather. For an aircraft to fly on autopilot, you must have put in all the effort required to get it off the ground and stable in the air. And even after that, you need to monitor it closely to ensure that nothing goes wrong. So, if you thought an aircraft’s autopilot system can fly the aircraft without a pilot or just by sensing that a pilot is seated in the cockpit, you’re dead wrong! Similarly, no online business will fetch you money on its own without you having invested much time and effort. Your Adsense-monetized blog or Facebook page affiliate thing won’t earn jack if you’re not getting traffic — targeted traffic. And you can’t get that if you’re lazy. For a couple of months, I earned a decent commission each time someone buys Miracet (a quit smoking product) through the link on the niche blog I set up for the product. It was all fun while it lasted. I always got the email titled “Markethealth sales notification” when I wasn’t expecting it. And each time, I earn either $25 or $50 depending on the quantity purchased. And at the end of the month, I get the commissions for that month on my Payoneer card. But the truth is, I never started making money on that micro niche blog until after 2 months of setting it up. So, it wasn’t an overnight success; I had to be patient. In addition, installing WordPress, setting up the blog, conducting keyword research, writing the two review articles on the blog, and optimizing those articles for relevant keywords all took me a few days. And I spent money, too; the domain name cost $10. However, I never had to add anything to the blog after it started earning money. I just sat back and took my commissions each time they came in. That’s autopilot money-making in action. But it happened only after I invested time, hard work, and money. Click here to read more about the micro-niche case study. 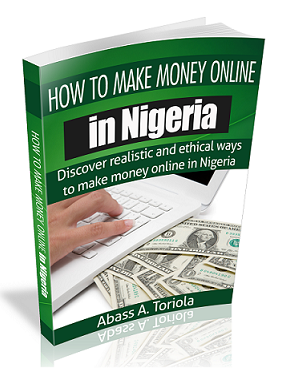 Since I launched my e-book (How to Get Your Dream Job in Nigeria) in November 2013, I’ve made a lot of sales. In fact, I can’t remember how many copies I’ve sold. The current price of N1,500 is the least price I ever sold the e-book for. At first, I sold it for N3,000. I later reduced the price to N2,000, and then N1,500. I smile each time I get a credit alert notification from my bank when someone pays for the e-book. Why shouldn’t I? I love money, and I want more of it (I don’t know about you). Though the e-book isn’t fetching me up to N100,000 per month, it’s consistently contributing its own quota to my monthly income. Now, to the hard part: That e-book is a product of five weeks of research, writing, editing, formatting, and tweaking. And even after its launch, I spent several hours to days on marketing. Financially, I invested as well. The cover design cost me N4,000. And I spent some money on advertising, too — N10,000 on Nairaland ads, N1,500 on Facebook ads, and around N5,000 on Google Adwords. But since launching the book, I just did a minor editing that took me a few hours. Aside that, I’ve practically “forgotten about it.” I only get reminded of it when someone buys a copy. Selling the e-book has been cool. But I really invested a lot in order to make that happen. Before I started this blog, I never knew Ife Oluwatuyi. The first time he contacted me was when he requested that I help him review his make money online blog. I discouraged him from carrying on with that niche because I felt he’s not experienced enough to make headway in it. He heeded my advice and set up a natural health blog. A few months after implementing some tactics I revealed on this blog, Ife was able to make his first affiliate commission — a whopping $90 from the sale of just one product through a blog that had less than 10 posts. 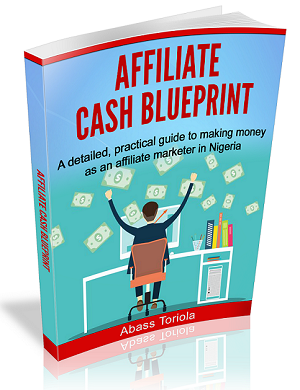 And since then, Ife had been earning affiliate commissions consistently from his blog. In fact, two months ago, Ife gave me $60 (N9,500) to show his appreciation for everything he has learned from me on this blog. 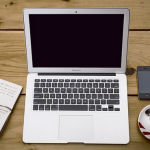 When Ife informed me of his first affiliate sale, I checked out his blog. He did his keyword research well. His posts were detailed, unique, and valuable. His blog’s design was simple and cool. And considering that it’s a WordPress blog, he must have spent some money on domain registration and hosting. So, Ife’s consistent autopilot income is a result of heavy investment of time, money, and effort. 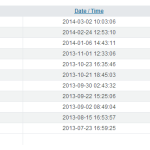 From the three examples, you can see that making money online on autopilot is quite possible. But it’s not as easy as many people describe it. If you really want to set up your own autopilot “cash machine”, you need invest money, effort, and time. If you’re looking for a money-spinning autopilot online income system that takes just four hours or less to set up, you’re in for big disappointment. Even though such exists in the e-books of those desperate strugglers who are out to steal your money, it doesn’t exist in reality. The guidelines for making money online have not changed: Find the right information. And take action the right way. Do otherwise … and you’re off track! Share your thoughts about this post by leaving a comment. I’ll reply, as usual. I quite appreciate your transparency. By the information I have deceived from you, I may attempt online business, thanks. That would be a smart decision. I wish you all the best. Earning from 3 sources on micro niche. EBook,Adsense and affiliate product…. 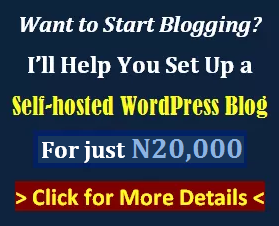 Starting my own soon..
Abass Toriola I just started my MMO blog on blogger… I want you to help me review and give me more strategy. Also Want to ask can i Start niche blog on blogger? using my MMO template. Click it own and mail me….. I love your posts, they are quite enlightening. It’s quite a lot of valuable information given freely. About niche marketing, my question is what if the most popular trend or best selling product is not something that you love or want to talk about, what can you do about it? Can you pick something and make it popular? There can’t be a single popular trend or bestselling product at a time; there’ll be many of them. If you’re not passionate about one, go for the others. i really enjoyed all your write-ups, more grease to your elbow. i am in need of that facebook autopilot e-book. You’re welcome, Chigozie. I;m glad you found the post helpful. You are a blessed man. Let me start by telling you that your link is broken. It leads to a non-existent page on hubpages. I don’t buy the idea of publishing content for all those revenue sharing sites (hubpages, squidoo, etc.) You keep fetching them money, and you still don’t have absolute control over your content — and other issues. To me, it’s a waste of time. Just so you know, there are many ways you can make money online without using PayPal. It’s just a matter of having the right information. As for your inability to make headway on hubpages, I think it’s partly due to the niche you chose. From your URL, I can deduce that you’re writing on spiritual topics. Right? If yes, know for sure that such topics don’t really sell online. You need to set up your own blog (since you’re a very good writer), and consider another topic that will fetch you traffic and money in the long term. If you had done this back since you started out, you should be making a decent income by now. Another masterpiece and honestly, the ‘frankest’ talk I’d had course to participate in this week. Honestly, the whole concept of auto pilot is thoroughly abused and helps no one (as it is) other than those cheap fraudsters who perpetrate it. If things did not require any effort up to that extent, believe me, my boy of 2 would have been a millionaire since he was 6 months old – or less! Your lines here could have easily been mine…it’s curious how like minds reason in a similar fashion: In my very first eBook (which I plan to offer for free as from Monday next week), I did argue the same question. My conclusions? AUTOPILOT WORKS – BUT IT’S COMPLEXITY, APPLIED BY AN OBVIOUS NEWBIE IS SUICIDE…NO MORE, NO LESS! The nonsense really bothers me…how can someone offer such bunch of obviously fake ideas and still sleep well at night? 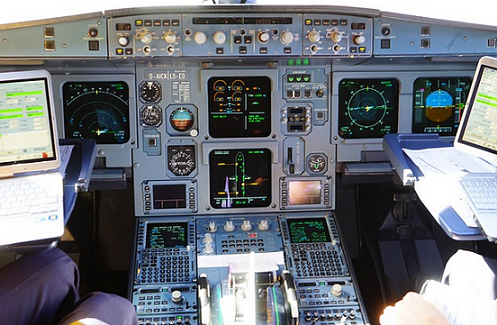 Concluding with your example, I wish to draw one more lesson: “I’ve never heard of a pilot taking off on autopilot! The system is only applied in midair when things are more or less stable”. Who has a contrary opinion? Insightful comment as always. I couldn’t agree more with your words: BUT IT’S COMPLEXITY, APPLIED BY AN OBVIOUS NEWBIE IS SUICIDE. Thanks for your time. I greatly appreciate it. you have done a great job by taking your time to address the issue of get rich rich quick mine set, those who think they can get rich overnight should learn to let go that practice from this piece of information you have provided them. kudos. 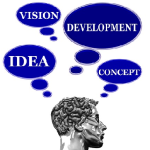 That is my newly blog, but would love to improve in freelancing with training. Thanks! Autopilot have tried in so many ways but didn’t get it. Thanks for the strategy. Your comment really got me cracked up. Everything under “The myth” doesn’t work, but many people out there think they do. If you want to really make money online, read that “The reality” section. Mr Abass! You are actually doing a great job here. All your posts have been educative and informative most especially for passionate bloggers and visitors of common motive. The very first time i stumbled upon a post here, i was curious to read all, which i did. There is quality in you and i hope you gonna do more. More power to your elbow in that regard. My question: can payoneer accept permanent voters card (PVC) for registration? P s: I am amazed at you trying to be yourself always despite the love for money. I wish u the v best in your endeavours. In response to your question, I’d say yes, since your PVC is a government-issued ID. Your posts are often inspiring but not as inspiring as talking to you live on phone. You’ve got a unique way of pushing people to succeed online of which i’m a beneficiary. Thanks for the kind words. I’m always proud to show off your accomplishments. Thanks for taking your time to read the post. I’m glad you found it valuable. I’m sorry for disturbing you sir but i actually have a question, although its kinda not about this post. As we all know that subscribing or purchasing data right here in Nigeria is expensive, especially when it comes to using it on a system, we still have another some what cheaper alternative which is visiting a cafe to purchase time. What actually happen now is that, can you advice me to log on to my WP dashboard or my markethealth account through a public computer as that of cafe???? I’m afraid of doing so because i have a feeling that the account won’t be safe even if i log out once i’m done wit what i went there to do. Thank you sir, i’m looking forward to your reply. No problem with logging in from the cybercafe. Just ensure that you log out successfully before leaving. Abass, i don’t take beer too, and i also like money. You deserve whatever compensation is necessary to reward your effort here at WIP. In addition, this freelancing stuff appeals to me. Do you think i possess an appreciable amount of writing skill to excel at it? 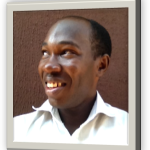 Please, do me a favour: i blog at http://www.okaforchijioke.com, could you assess my writing and tell me what work i need to do where necessary to do well in freelance writing. I already checked your blog after reading your first comment. And I think your writing is good enough for the freelance writing business — although there are some things you need to improve on. 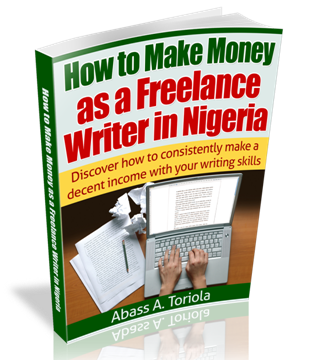 For full details of everything you need to know to become a successful freelance writer in Nigeria, get a copy of my freelance writing ebook. This is highly updating and refreshing. I believe this post will make a great impact if utilized. Thumbs up. Thanks for your time. I’m glad you liked the post. 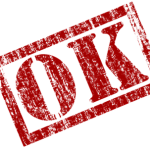 Hi Abass, i enjoy every piece of information you share on this blog. I only stumbled on it just a few days ago and i have vowed to read every thing you have posted here. And i am really committed to doing that. I see a reflection of your credibility and honesty in every post. The kind comments and thank-yous of readers also show it. For the much i have learnt already within these few days, i feel like buying you some bottles of beer. I will definitely do so some day. So i say, thanks a millionaire and keep up the good work. You see, it’s not as if i’m brand new to this online biz stuff. I got wind of it in 2007, attended some seminars. But have not really been tutored on the right way to go, coupled with the pull-down malady of inaction. But here, on this blog, you do not only dish out the ins and outs of the trade generously, you also have got the talent to inspire the sleeping giant out of slackers. Men! You’ve got an awesome website. You just need to be a little awesome and work for traffic. That’s all. Keep it up. Well done bro, more greese to your elbow. I am into autopilot business, but i later stop due to d issue of paypal. Pls what other means can i use to withdraw my fund. Your best bet is to get a Payoneer card. What a great post,am new in here no ideas on how to setup a blog non what is the right thing to do.but after reading your post sir I do believe I can do something now.i tell you sir you are a great teacher and a mentor,I really need help on how to setup my own blog for making on-line business sir. I havn’t posted any article on my blog though, but everything seems kinda hard around here, its been over two weeks now since we had light in ondo state before it was brought this morning. Anyway boss, this will actually make me do some things before next week runs out. I also want to say a very big thank you.